Transformation ~ Easy As 1, 2, 3. Life is hard enough, beauty should be easy. 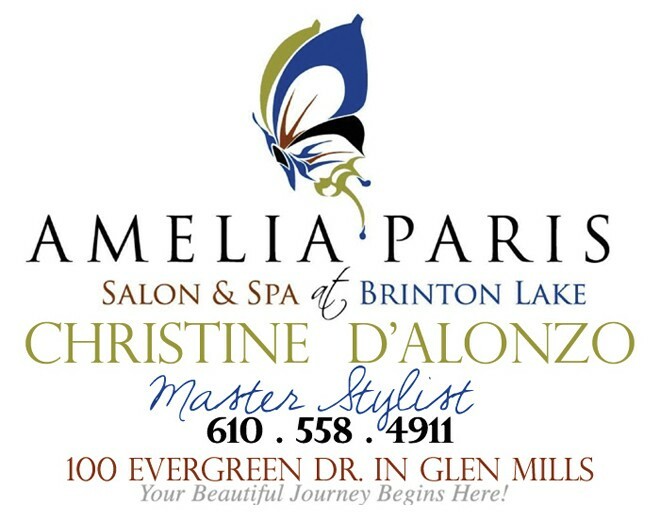 At Amelia Paris Salon we pride ourselves on education, inspiration, and creation. This is one place where you can come to relax. As our stylists work together to personalize your look, we walk you through the technique step by step so that you can recreate it effortlessly from home. We are artists! We use the newest techniques like hand painting, foiling, balayage, ombré, color melting, and glazing to produce multi-tonal effects. We calculate the precise color placement to optimize your look. Hair is so important; it’s the only piece of your wardrobe that you wear every single day! It can be as subtle as using your natural color to your advantage or a drastically new look. Hair color reflects on the skin and can add a vibrant, youthful glow. Look at the butterfly; we don’t wonder how old they really are because we are mesmerized by their beautiful colors. The ease of styling a proper cut will give you more time in the am for healthy eating and yoga! Building a great haircut is like building a temple and the foundation is important. Face shape, texture of hair, amount of hair, direction of growth patterns, health of scalp, and condition of hair are just a few of the variables we beauticians take into account when crafting your unique look. We consult with you on your first appointment to get all the information we need to discuss the endless possibilities. Celebrities can be a great inspiration. As they are shearing away at their long locks, we are seeing pixies, undercuts, bobs, wobs, lobs and who has less time than them? They make it look easy! And it can be with a support system of stylists who understand you and your hair! When is the last time you had your make up done by an artist, someone who can teach you how easy it can be to cover blemishes and enhance natural beauty? Notice how the colors change with the seasons from warm autumn leaves to cool spring blossoms, so should your makeup palette and application change. It’s the shine on the apple, the finishing touch that pulls your look together with polished perfection. If your current makeup is over a year old it’s time to rediscover the age old art of enhancing youthfulness and vibrancy. As technology advances, products, and the way they reflect light, is constantly improving. This aspect of makeup is very important with mature clients. Your eye color, complexion, and hair color are all a part of the pallet of personality. 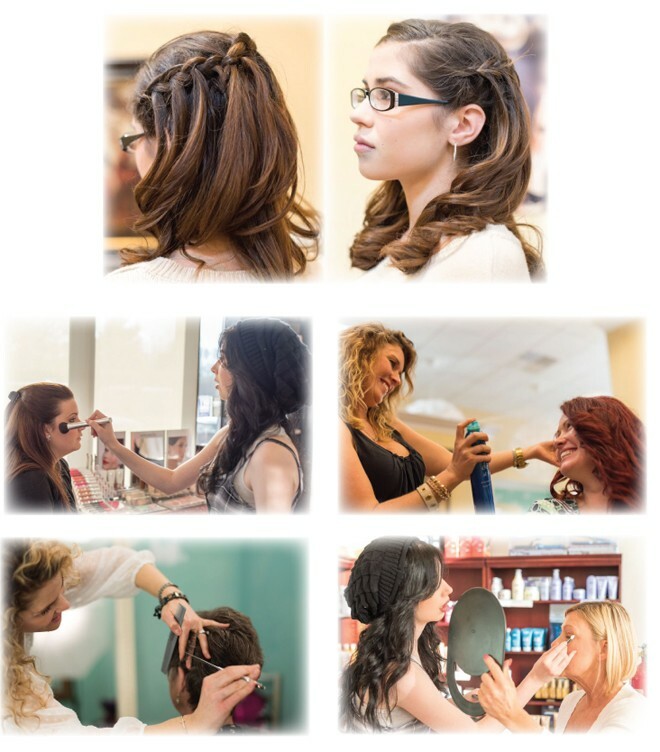 We love to give free makeup application lessons and even full blown airbrush makeovers, beauty is our passion. ~With just three small steps you will feel your self-love flowing like a river, spilling into the land of pride and the valley of confidence. It’s easy with friends like us.